Niagara Falls trip! Over 30 people joined the Niagara Falls trip this year, and the weather was perfect to enjoy the falls, boat ride, and dinner at the Rainforest Cafe. We had a great time. The Culture Festival was a great success and our Korean students shared music, food and language culture. Spencer Lodge is a forested area in the middle of London. The YMCA has day camp facilities for children to explore nature and climb the rock walls and high ropes! Gibbons Park is one of many wonderful parks in London. We had picnic dinner and then walked home through Western University's campus. Pioneer Village is an outside museum of how the early Canadian settlers lived. Students visited the YMCA Fanshawe Lake location for outdoor activities: archery, and canoeing. Our group had a great time on the rides! 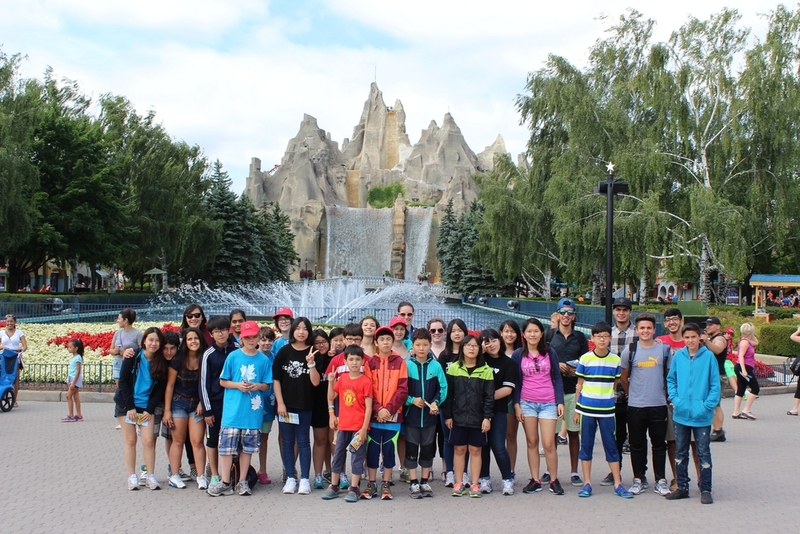 This amusement park is located in Toronto, and the YMAP volunteers and local Canadian children joined us. Travel and arrival in Canada, London, The University of Western Ontario dormitory.